STP affects every business with employees. If you employ staff, you need to chat with us today. You can book in a time to talk here. The time to act is now. There’s not long before STP comes into place and you need to make sure you’re set up and ready to report, and you don’t have to wait until 1 July 2019 to start reporting STP. It’s our recommendation that you get set up for STP before the end of the financial year when you’re already got so much to think about that that time! The first step is to have a chat with us. As a registered BAS agent, we’re in the best position to help you with this. Electronic payroll software is essential for STP reporting. If you’re not currently using electronic payroll software, now is the time to get started. We recommend Xero and they have some great solutions if you’re a smaller employer. If you’re already a Xero subscriber, read our blog on getting set up. Talk to us today, don’t leave it any longer! We can help make the Single Touch Payroll process a whole lot smoother for your business. 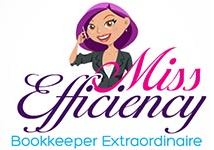 Call us on 0402 811 088 or email sarah@missefficiency.com.au to find out more.